“I stumbled across this bar by accident one weekend and ended up spending hours sat at a table by the window, overlooking the river. The cocktails are lovely and I would recommend this bar as a visit for a cheeky cocktail and if you can get a window seat then you're in for great view”. “You can't get any closer to the Thames if you tried! Have been here as a couple and with friends for relaxed afternoon drinks, each time has been good. The view is great looking over the Thames, we would recommend to anyone that is near to the Tower Bridge area”. 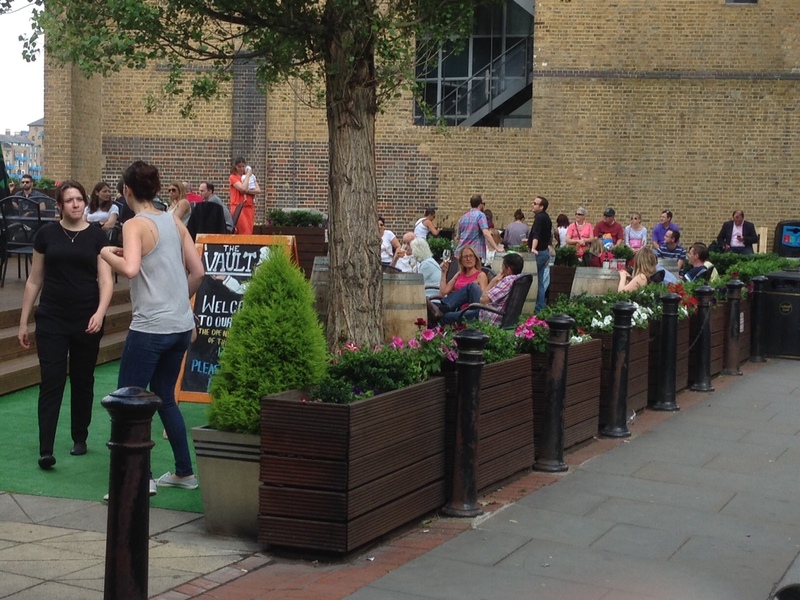 “The best location for a pub, just under the tower bridge, a splendid view of the Thames. The beer is excellent and it is usually crowded”. 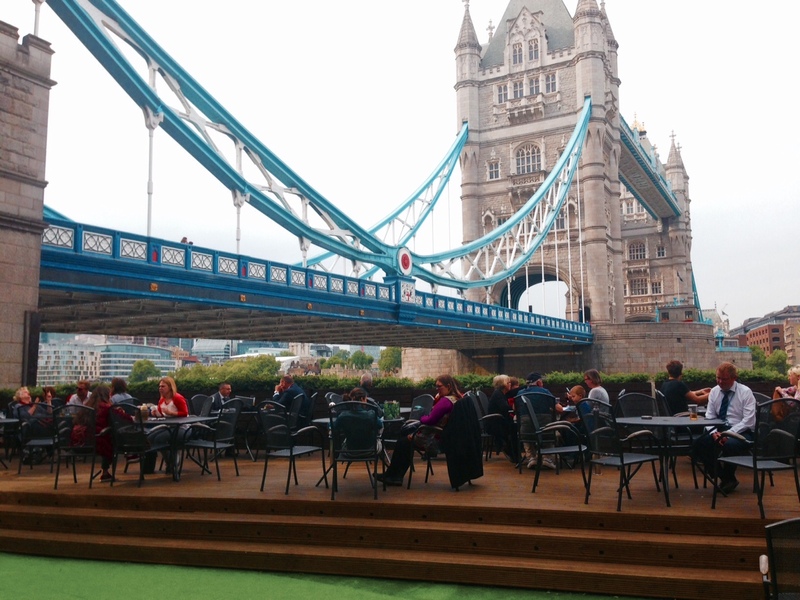 “The view from the rear of this place is great, you are positioned right on the river Thames, you can see the underneath of tower bridge Good range of food, I've been twice with different people and we have all liked the food both times”. Great atmosphere and what a romantic location. “Stumbled across this amazing place tonight when we walked a cross tower bridge. Food, drinks and the atmosphere was fantastic. Waitress was wonderful. Absolutely finished our day off in the best way. Recommend the Buffalo wings and the fish and chips”. “It can be quite romantic because, if sitting by the window, you can enjoy the beautiful skyline and the Thames flowing right below your feet. Good and relaxing music”. 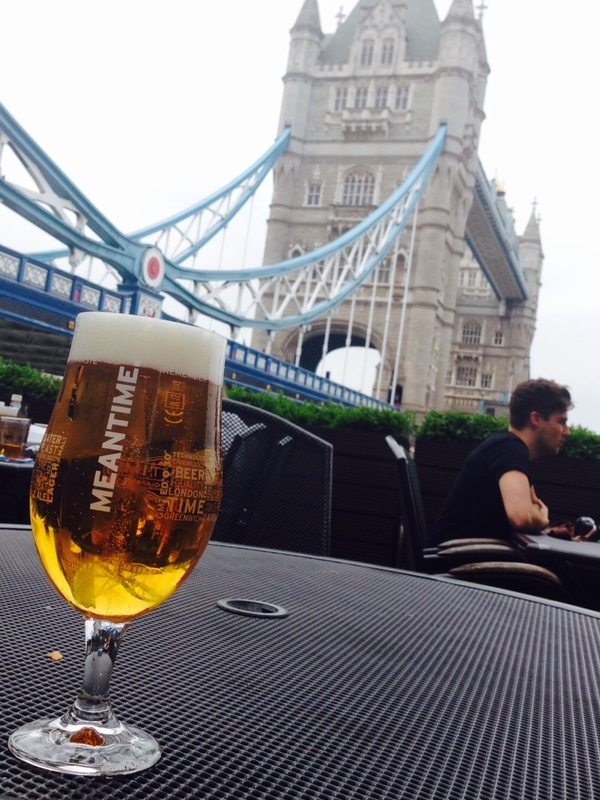 “The bar is situated just under the Tower Bridge. Nice and cosy, it's the perfect place to relax and have a beer. I've been there twice, once with some friends and then with my boyfriend”. “I went up to the bar to order us 2 glasses of champagne. The barman asked if we were celebrating something- I responded that we had literally just got engaged! From then on, the service offered to us was fantastic! No sooner had I said it, but the staff were hurriedly preparing us a beautiful candlelit table next to the large window at the waterside. We had a wonderful time just enjoying that special moment in each other’s company, in such a beautiful setting”. 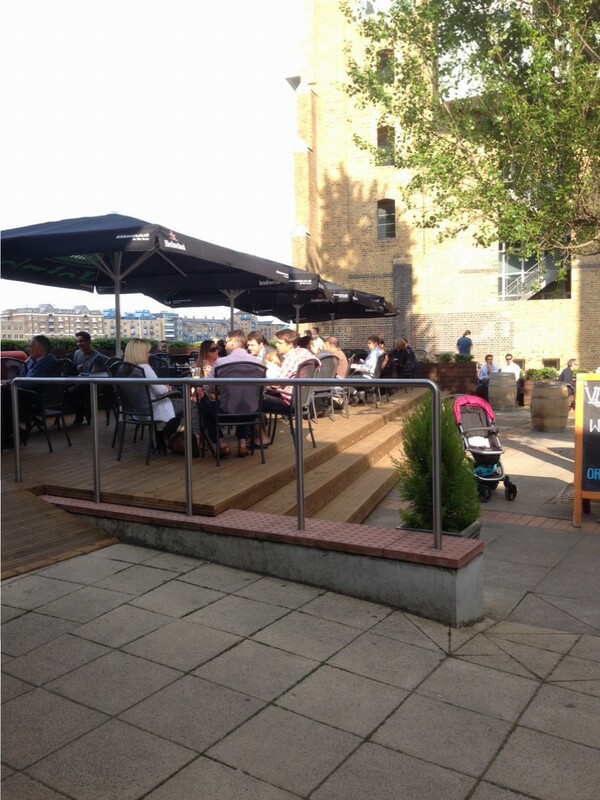 “After searching in the area at Butler's Wharf for a pub we finally found this one. Nicely tucked away under Tower Bridge. Service was friendly. If you need any ideas on how to photograph Tower Bridge, they have some wonderful photos on the wall showing the bridge in different seasons and perspectives. Worth a visit to see these photos and why not enjoy a pint meanwhile”. “Have been here as a couple and with friends for relaxed afternoon drinks, each time has been good. 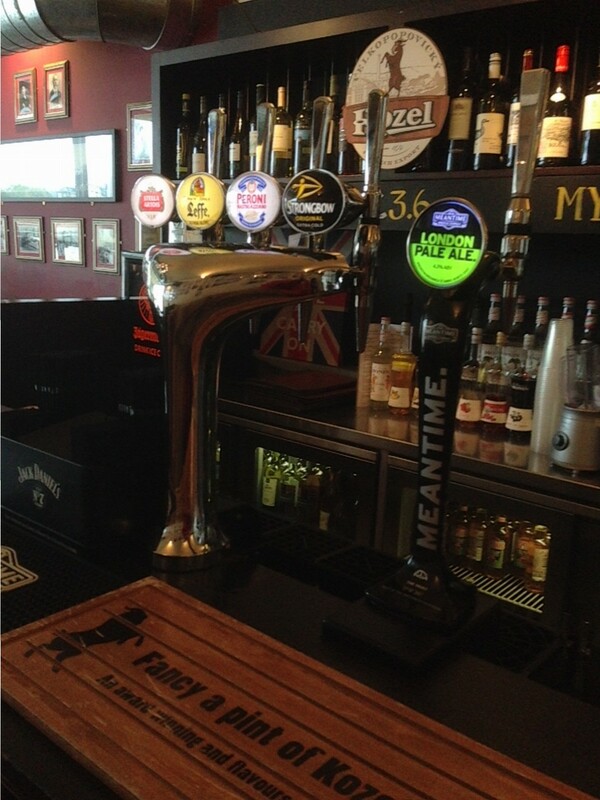 The view is great looking over the Thames, we would recommend to anyone that is near to the Tower Bridge area”. 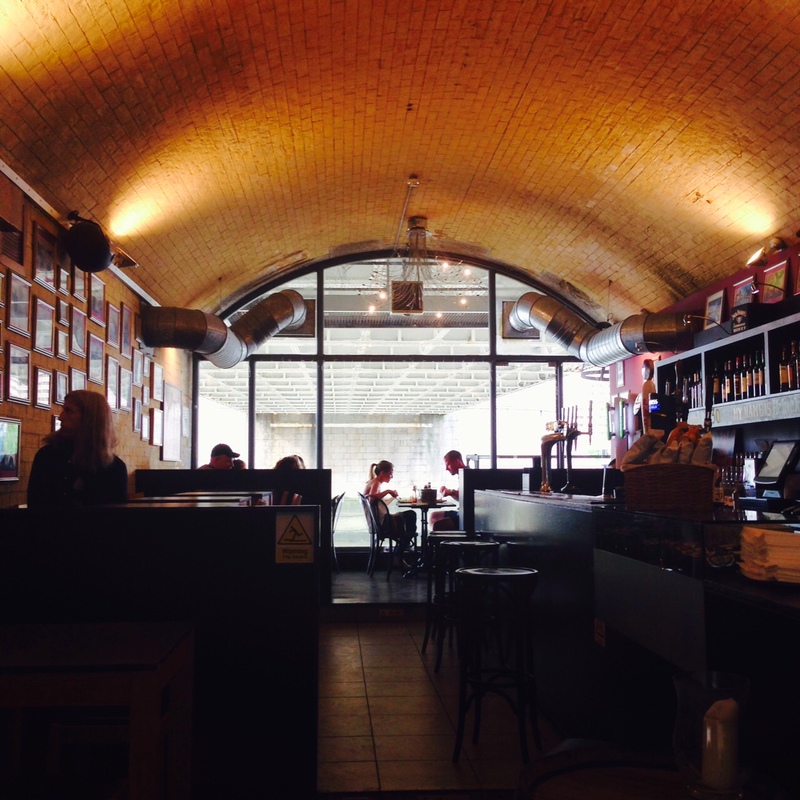 “Great place to meet up and chat and also have a drink”. “8 of us went to visit for food. The view was lovely. The food was excellent. The staff were so polite. We didn’t want to leave”. “Cute little bar, some friends and I had some late night drinks in this bar. It was really atmospheric to look over the river at that time of night and watch the world go by. It is a small venue so I guess it could get pretty busy, given the location is amazing and there's not many decent drinking places in the area”. “Great fish and chips!” “My food goal in visiting London was simply to find a great plate of fish and chips. My fiancée and I stopped in here for lunch after visiting the Tower of London. Our fish and chips were absolutely fantastic”. 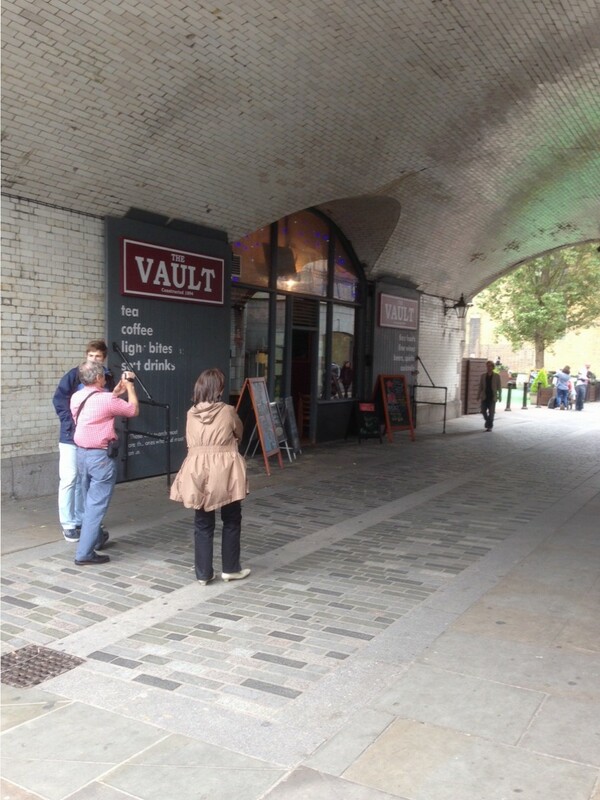 “Great little bar under Tower Bridge. Wandered in here for dinner on a Sunday night as we were looking for a nice spot on the water. When the terrace closed we moved inside, which was lovely and cosy with big windows overlooking the Thames underneath Tower Bridge”.